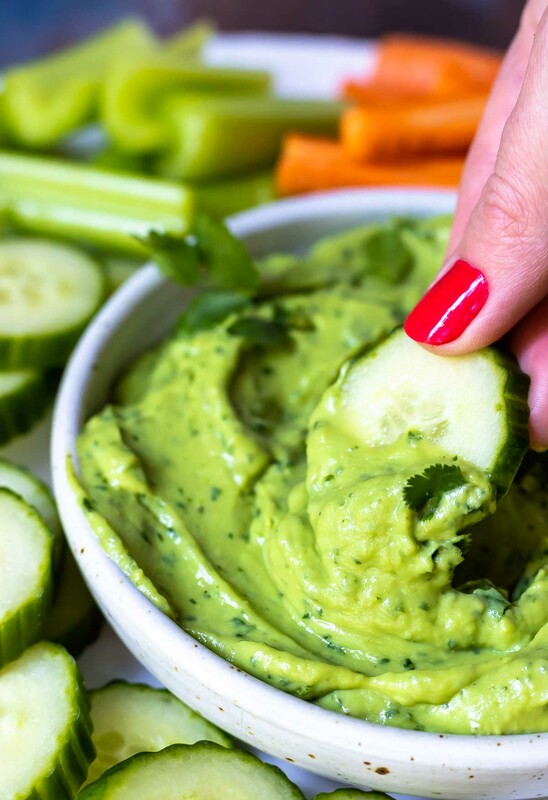 This Creamy Avocado Dip Recipe comes together in 5 minutes with just 4 ingredients! An appetizer for any occasion, this basic guacamole dip is ultra smooth, fresh and flavorful. 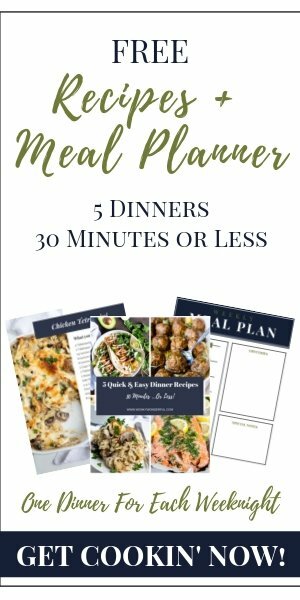 This recipe is also Vegan, Vegetarian, Paleo, Keto, Whole30, Low Carb, Gluten Free and Dairy Free. 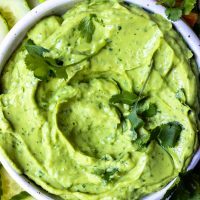 This ultra creamy version of a Basic Guacamole Dip is simple and flavorful. 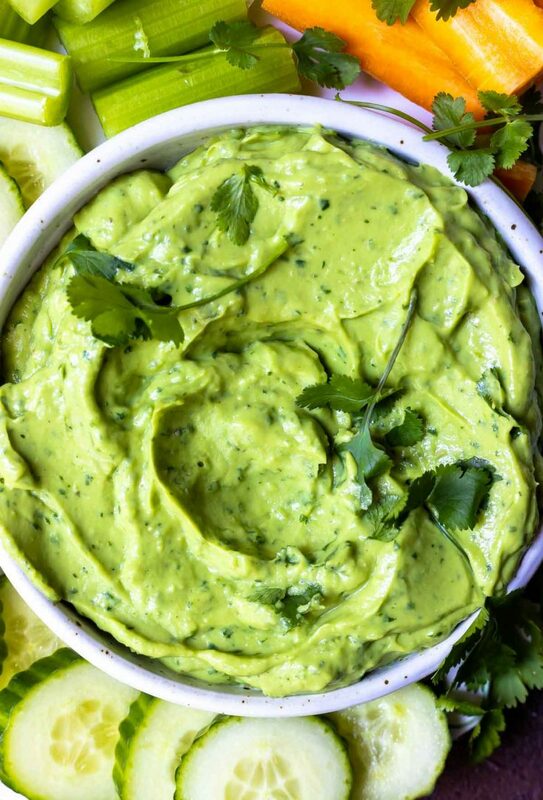 With just avocado, cilantro, lime and garlic this recipe lets the ingredients shine. Green never tasted sooooo good! Step 1: Prep all ingredients. Step 2: Pulse in food processor or blender until desired consistency. According to the Hass Avocado Board (and they should know) the best way to ripen avocados is by placing unripe avocados in a brown paper bag with an apple or banana for two to three days until they are ripe. I have heard of people microwaving avocados to ripen them. But, I personally have not tried that method. I have tried just about every trick to supposedly keeping guacamole and avocados from tuning brown. 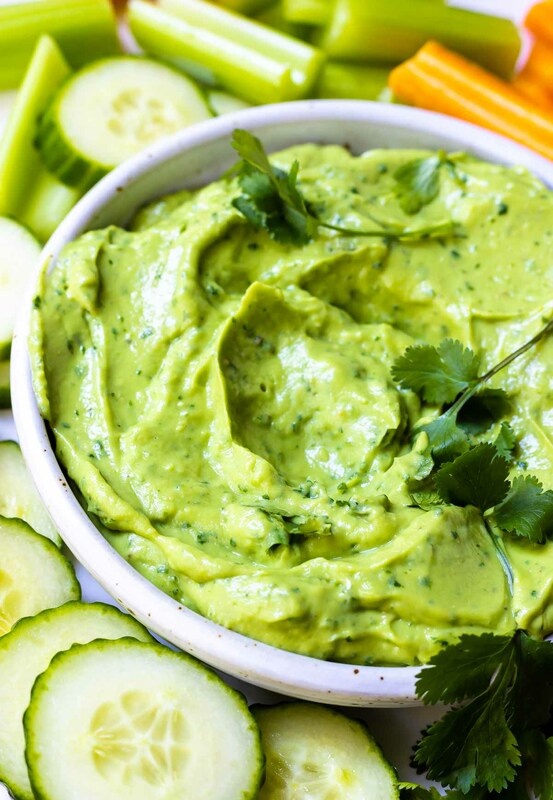 The only method that has worked is to press plastic wrap completely against the avocado dip making sure to remove any air bubbles. The more airtight you keep your dip the greener it will be. It will last 2-3 days easily if you can prevent it from turning brown. Pulse in food processor or blender until creamy and smooth. 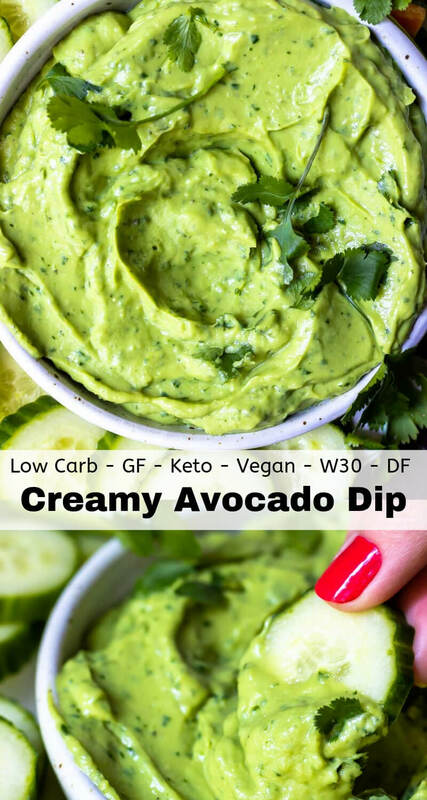 If dip is still thick, add more lime juice or water 1 teaspoon at a time until desired consistency. Serve with veggies, crackers or chips. Optional Ad-Ins: Jalapeno, Onion, Cumin, Cayenne, etc.